Bangladesh Fisheries Development Corporation (BFDC) New Job Circular 2018 has published by the authority. Bangladesh Fisheries Development Corporation (BFDC) Job Circular all information are given below. 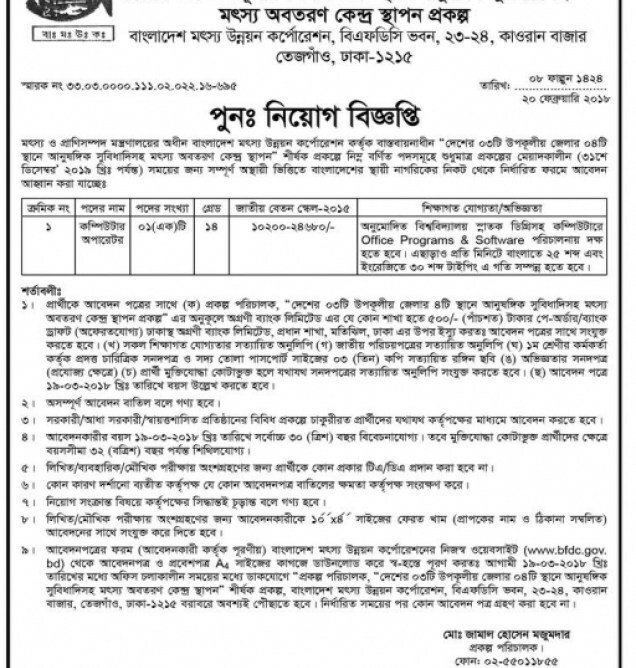 Bangladesh Fisheries Development Corporation (BFDC) Job Circular has published on various categorizes post. It’s a lucrative job and it’s great chance to get job for job seeker. This job is perfect to build up a significant career. Those, who want to work,they should be taken out of this opportunity. Bangladesh Fisheries Development Corporation (BFDC) is a renowned Government organization in Bangladesh.